You’ve likely seen seitan before, in its many forms: sweet and sour, nuggets, garlic pepper, and even at Thanksgiving — No-Turkey, turkey. But what is seitan, exactly? What you may already know is that seitan is an incredibly popular vegan substitute for meat. What you may not know is that seitan is otherwise known as vital wheat gluten… or what vital wheat gluten is. 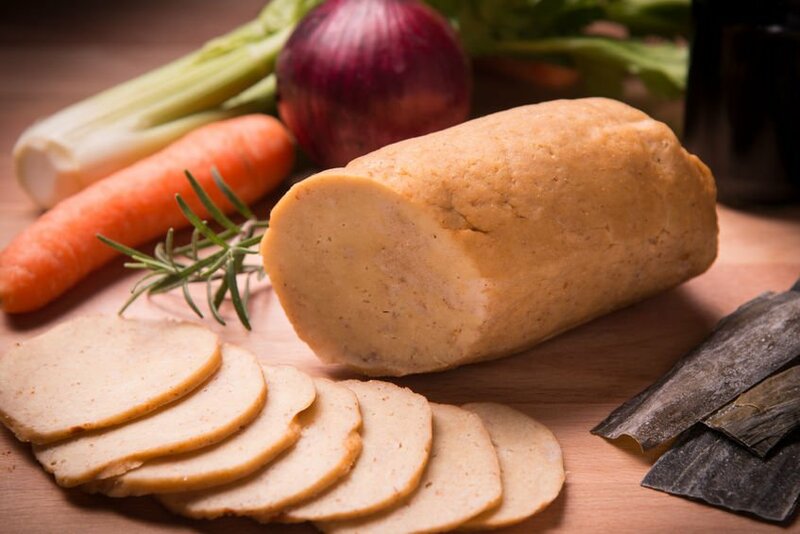 What is Seitan Made From? Vegans have relied on this food for years, but there may actually be some concerns about whether or not eating a product made entirely of gluten is as good for you as previously assumed. Let’s check it out. Seitan is made from wheat gluten and water and is often marketed as a low-carbohydrate, high-protein alternative to animal protein. Well, seitan is a vegan meat substitute made completely out of hydrated gluten. Gluten is basically the primary protein found in wheat. It can also be referred to as wheat protein. How Do You Make Seitan? You make it by slowly kneading wheat flour with water. This process causes sticky strands of gluten to develop. The next step is to rinse it — this gets rid of a lot of the starch. Once you’ve rinsed your wheat flour and water, you get a tacky pile of pure gluten. You can shape and use this sticky lump as a base for many different meals depending on how you season it or cook it. The great thing about seitan is its texture. It can very easily be translated to mimic many meat-based dishes, but it’s completely vegan and vegetarian. And today, you can often find prepared seitan in the refrigerated or frozen aisles of your favorite health market or grocery store. Of course, if you choose to make your own at home, you’ll need to have vital wheat gluten — aka a purified dried gluten powder — on tap. Then, you simply mix the mix with water. And again, seitan nutrition is relatively low in carbohydrates (4 grams per serving), since you rinse the wheat flour and wash off most of the starch when you make it. Best of all, wheat grains are virtually fat-free! That means seitan is a naturally low-fat food. In fact, guess how much fat is in one serving? Go ahead. Guess! If you guessed 0.5 grams of fat per serving, you guessed correctly. 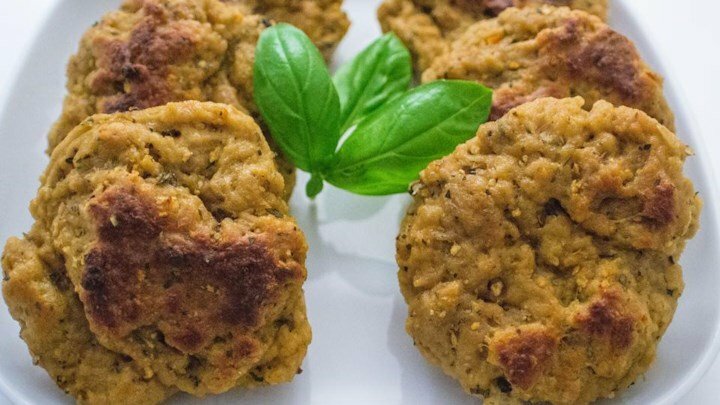 Of course, keep in mind that when you buy seitan at the market, there are often added ingredients to enhance the taste and manipulate the texture, so you may find slight variation when it comes to labeled nutritional details. But, if there is a downfall when it comes to this protein, it’s that even though vital wheat protein contains a good dose of protein, it’s shy on lysine — one of the most important amino acids your body needs to stay healthy.3 It’s because of vital wheat gluten’s low lysine content that seitan is not considered a complete protein. But you can make it work by supplementing your vegan or vegetarian diet with higher lysine foods — like legumes. In fact, one of the most fun things about cooking with seitan is that it literally takes on the flavor of any seasoning or sauce you may use to create your dish. You see, because it’s basically made from wheat gluten, it has a pretty neutral flavor profile. In this way, it can be a real magnet for flavor — and the world’s your oyster when considering what to do with this food. You really can integrate it into almost any type of meal. And because of its hearty texture, many vegans prefer it to tempeh or tofu when trying to emulate a meat dish. Can You Eat Seitan if You Have a Soy Allergy? Yes! If you happen to be allergic to soy, you may have had a difficult time trying to cook well-balanced vegan meals. So many vegans turn to tofu or tempeh for their protein. But those products are made from soy. But because seitan is made from wheat, it can be a good substitute for many vegans. Though make sure to read the label if you purchase it in packaged form. It can be packaged in a plant that packages soy products as well. And in some cases, soy may be added to the product for one reason or another. Is Seitan a Whole Food? Unfortunately, seitan it is not a whole food. Now, it is chock full of nutrition, yes. But, it is still a processed food (which means it doesn’t merely exist as a food in nature). Remember, you can only make seitan by rinsing away its starch. But don’t despair. Even though it’s processed, it’s not highly processed, so it’s still low in sugar, calories, and fat and considered a healthy food. And if you’re already loading your diet with lots of vegetables, fruits, legumes, and nuts — you’re likely to not have any issue by adding seitan to your diet. Remember, seitan is made from wheat flour. So, if you’re gluten-allergic or sensitive to wheat or gluten in any way, avoid this food. Furthermore, since seitan is pretty much pure gluten, those who are sensitive or allergic may have particularly intense reactions. Also, in some cases, gluten may increase intestinal permeability. What does that mean? Well, if your gut is healthy, your gut walls are secure, blocking many food particles from entering your bloodstream. But when your gut is not healthy, it can start to allow larger food particles through to your bloodstream. This issue is often referred to as increased permeability, or Leaky Gut Syndrome. It’s often associated with certain food allergies and sensitivities. Try eliminating it from your diet for about a month. If your issues improve, you’re likely dealing with some sort of sensitivity and should check in with a licensed nutritionist or your health care professional to take a proper course of action. 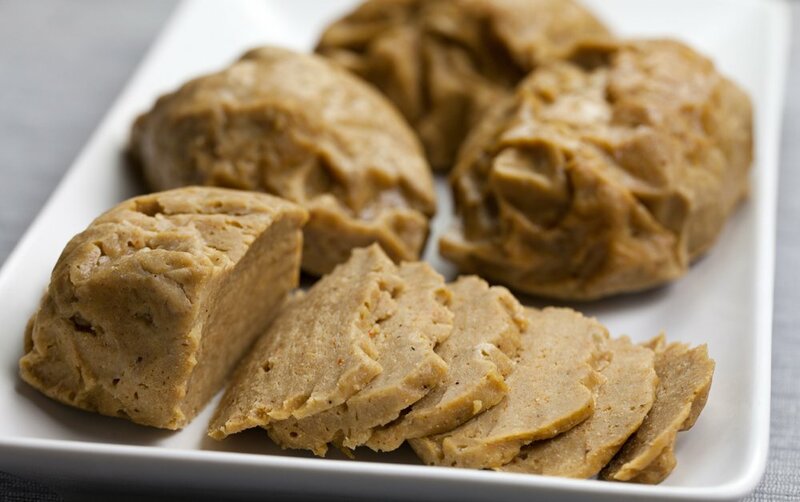 Seitan can be a tasty and easy source of protein if you’re following a vegan or vegetarian lifestyle. The fact that it’s high in protein, and is a good source of minerals, means it can be a great option for you. But if you know you can’t tolerate gluten, you’ll want to avoid it, and ask your nutritionist about other viable protein options. Also, try to avoid highly processed seitan products. 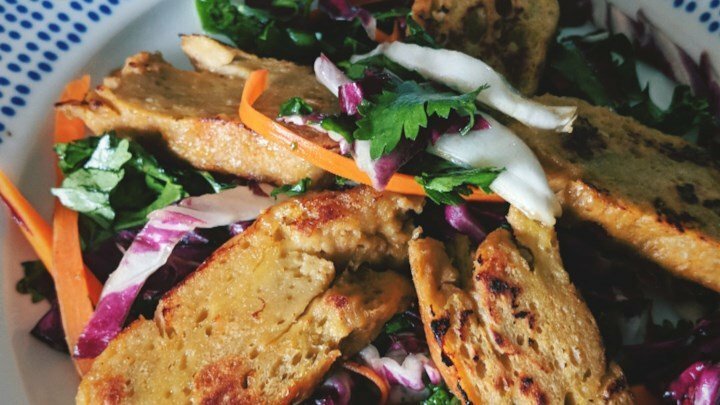 If you’re new to seitan, give it a go! Try to create your favorite dishes using it as the base. Just make sure to heed your body should it try and tell you that seitan isn’t for you.